pattern inspiration | "Summer Swim"
Making patterns is one of my favorite branding-related tasks. Logos are KING, of course, but the signature pattern of a brand is like the fun cousin that gets to party and lead a less serious life. Many clients ask, "What do I do with a pattern?" Good question! Patterns are the perfect way to build a bridge between web and print. They don't have to be the star of the show, but they're an important background element that ties everything together. See the light gray graph pattern around the edges of our website? That's our signature pattern. You'll find it all over the place, including social media posts and the back of our business cards and letterhead. We're not known for the pattern itself, but it's one visual element that we repeat regularly to reinforce our branding. Since a signature pattern doesn't have quite as big a job to do as a logo, we can have some fun with it. Use it to show some personality or reveal something about your brand. I, for instance, chose a graph pattern because it's my favorite paper for doodling and writing notes. Tiny, uniform squares are the perfect representation of the marriage between the creativity of my right brain and OCD of my left brain. So...what's up with these swimmers? Now that summer is officially here, I thought I'd celebrate by sharing a pattern freebie with you! I've made 4 seamless swatches for both web and print: 2 in color and 2 in black + white. The swatches can be used for blog backgrounds, social media, greeting cards, wrapping paper, and more. 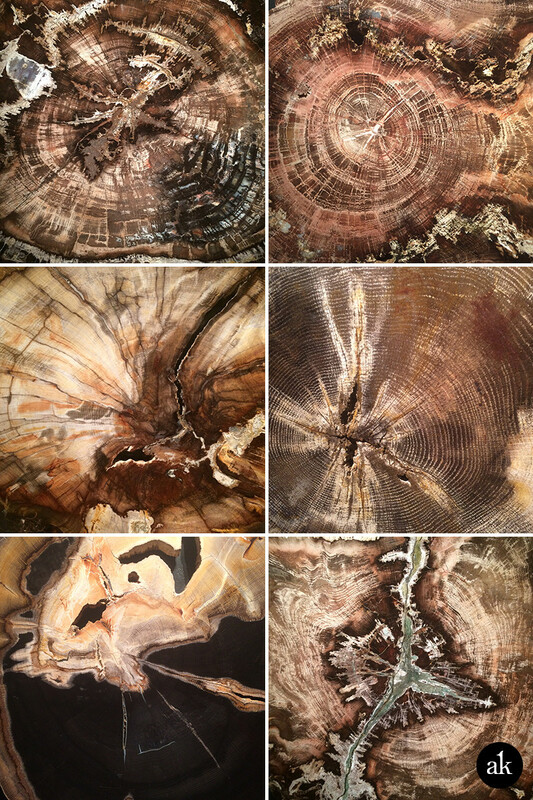 Call me a nerd, but my favorite exhibit at the Houston Museum of Natural Science showcases slices of petrified wood. There's a small alcove within the Morian Hall of Paleontology where you can get lost in the beautiful, meandering patterns of oak, elm, and other species. It's amazing. 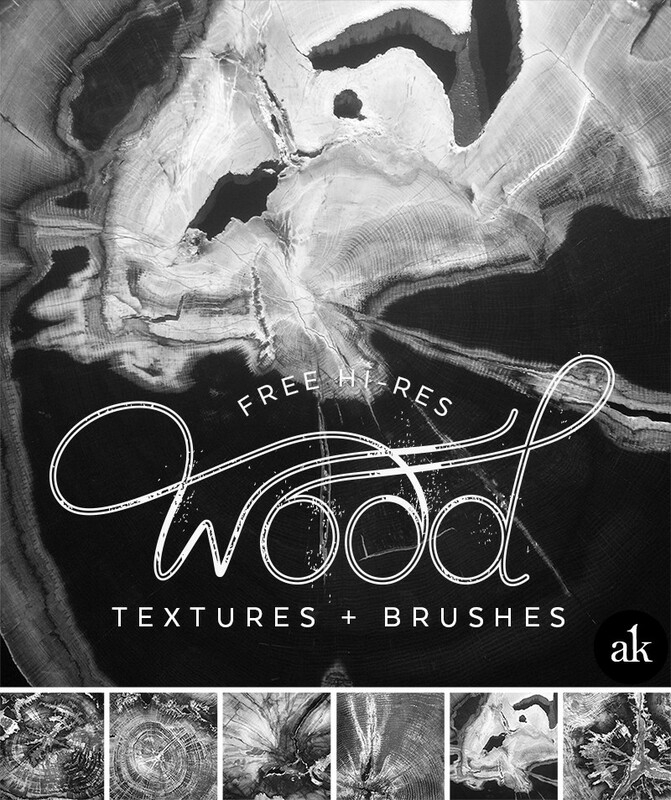 Today, I'm excited to share with you a collection of hi-res color images and Photoshop brushes you can use for free! Aren't they gorgeous?! They remind me of images of Earth taken from space...mountains, canyons, and rivers viewed from thousands of miles away. Each color image and single-color brush measures 1250 px by 1250 px, so you'll have a lot of flexibility. Hope you enjoy them! To install the brushes: Put the brush presets you have downloaded into the folder Photoshop\Presets\Brushes in the Adobe folder in Program Files if you use Windows or in Applications if you use Mac.